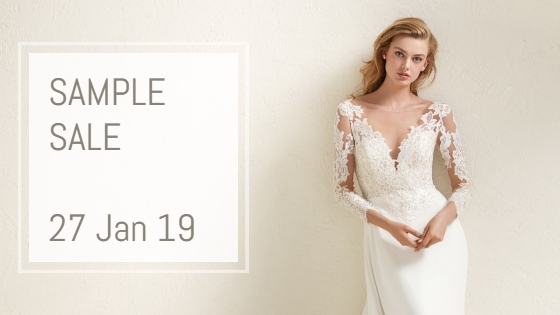 Unmissable sample dress sale, exclusively for brides looking for their dream Pronovias wedding dress. 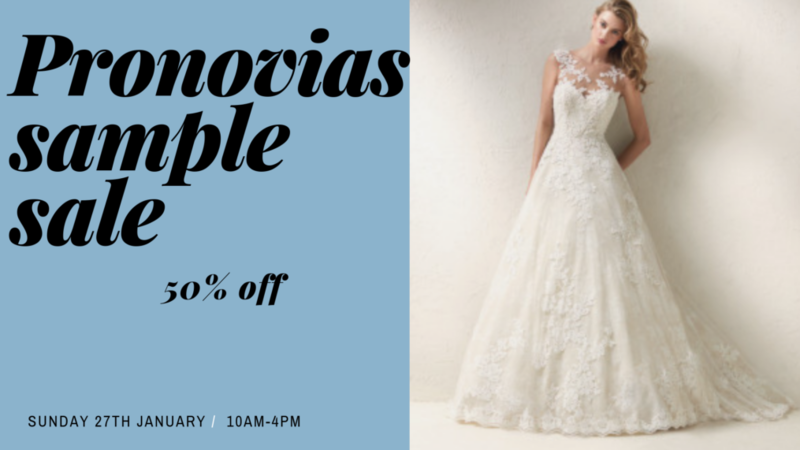 All the sample Pronovias gowns at Brides of Winchester will be available to buy at between 35% – 70% of the original price and can be taken home on the day. Just because you are buying a sample that doesn’t mean the service won’t be as good! You will be looked after by a dedicated consultant and you will have your own dressing room for the duration of your visit. Once you have chosen your dress a full length bridal dress bag will be provided free of charge and if space is an issue at home we will store your dress for you for upto 6months for a small storage fee. Details will be available on the day. The diary has opened and appointments are available between 10am to 4pm. Not sure what time you can make it? A walk in appointment will be accepted on the day if there is a consultant and changing room available but this is a very popular event and we can’t guarantee space without a pre-booked appointment. Sorry no browsers. Found a dress you love but our sample isn’t the right size or you want a brand new one? – All new orders taken on the day will be subject to a one off Special Event discount.